Growing a business is a complex, demanding and stressful task - you don't really need me to tell you that. So can be digital marketing, which plays a crucial role in business growth. How do you deal with all that? How do you ensure growth, effectiveness, and decrease the amount of time and the number of nerve cells wasted during the process? You know the answer: software. Luckily, there are plenty of digital marketing tools out there. No matter what your business is, you will find something that simplifies your life greatly if you spend some time looking. While your toolset should, of course, be tailored to your business, go ahead and have a look at the list I've put together. These are the tools that are more or less universal and used by a great number of small businesses already. They are also either free or low-priced, so you can try some of them out and see if they work for you. IFTTT is an abbreviation for "If This, Then That" and is pronounced as "gift" but without the "g". It's a tool that connects most of your apps (or all of them, depending on which ones you have). Its name describes the essence of the tool pretty well. Basically, you come up with a reaction to some given action on social media, and the tool does the reaction for you. I know that sounds confusing, let me explain. So you've decided that you want to send an invitation email to people that have tweeted about the event you're organising. You can tell IFTTT that, and every time someone tweets about that event, they'll get the email. Or, every time you post an Instagram photo, it will be re-posted to Twitter with your chosen call-to-action. These sequences are called "recipes", and you can make loads of different ones. 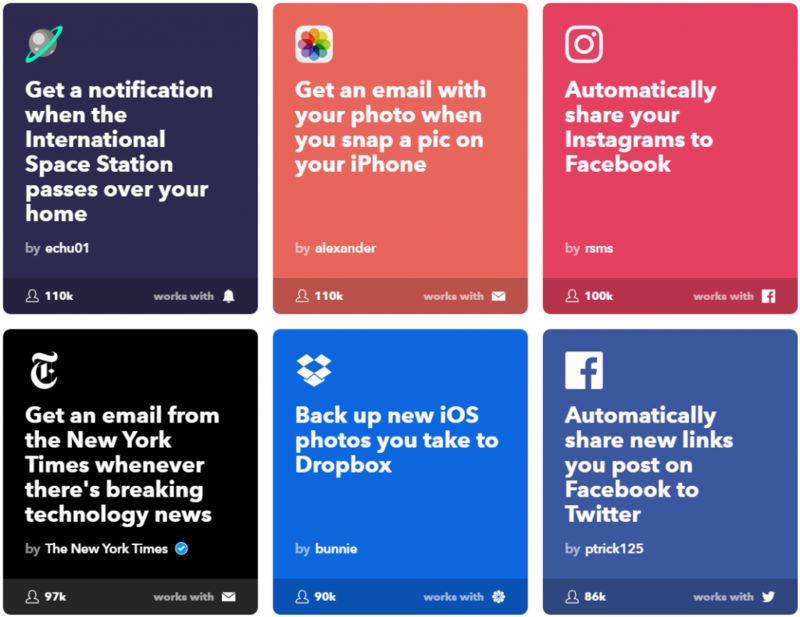 IFTTT currently supports more than 110 services including Android devices and Apple iOS apps like Reminders and Photos. They support what looks to me like the whole of social media: Facebook, Instagram, Flickr, Tumblr, Google Calendar, Google Drive, Etsy, Feedly, Foursquare, LinkedIn, SoundCloud, WordPress, YouTube, and more. 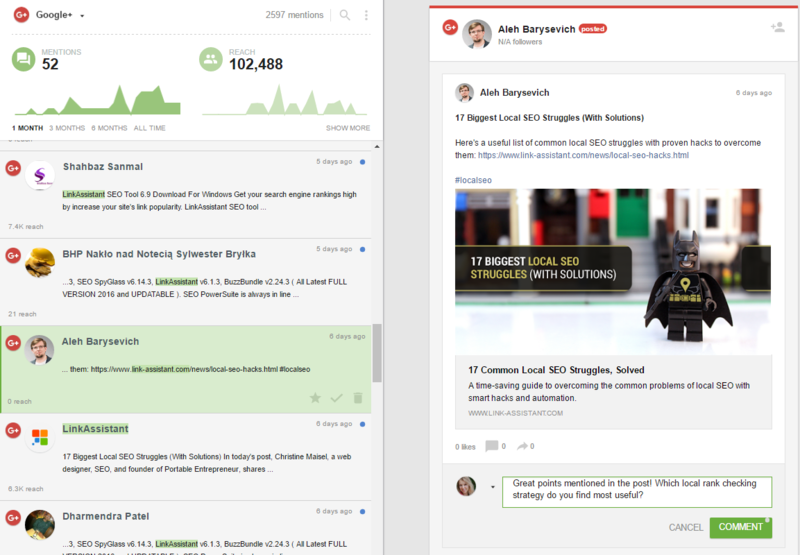 Awario is a social media monitoring tool. It listens to all online conversations that happen around your brand, product, niche, or anything else you type in as a keyword (keywords). Its first goal is to find potential customers and build brand awareness - both are understandably essential for business growth. The tool finds potential customers by looking at mentions of your keywords. For example, if your business is built around selling art supplies, you can find all people that talk online about art supplies. Then you can either show ads specifically to these people, or you can start conversations with them. Awario and similar tools are used mainly for building relationships with your potential customers. This means answering popular questions in the field, discussing products (e.g., on review websites), attracting social media influencers, and so on. This process builds a reputation for your brand on social platforms, portrays your brand as the expert in the field, and makes it recognizable. Creating and curating content is the essence of inbound marketing. Sometimes it requires a business to turn into a publishing house. As if that's not enough, everything you write has to be posted multiple times a day to numerous social media channels. And everything other people have written and you've found useful for your readers. And some other content too, just for entertainment. Everyone who has ever done SMM knows how terribly distracting all of this is. That's when Buffer comes to the rescue. Buffer is a scheduling tool. It is simple and straightforward, and it ensures your content will be posted everywhere it has to be posted with no extra effort from you. The posting times are conveniently pre-set already, but you can adjust them if you want to. Also, once you install Buffer, you don't have to ever go to the app - you can add posts to the queue from anywhere you are reading. Very convenient. Talking about content, Feedly is another tool that you might find helpful. Again, it's simple and easy to use, yet a life-saver when it comes to posting content regularly (thus growing your audience, thus growing your business). 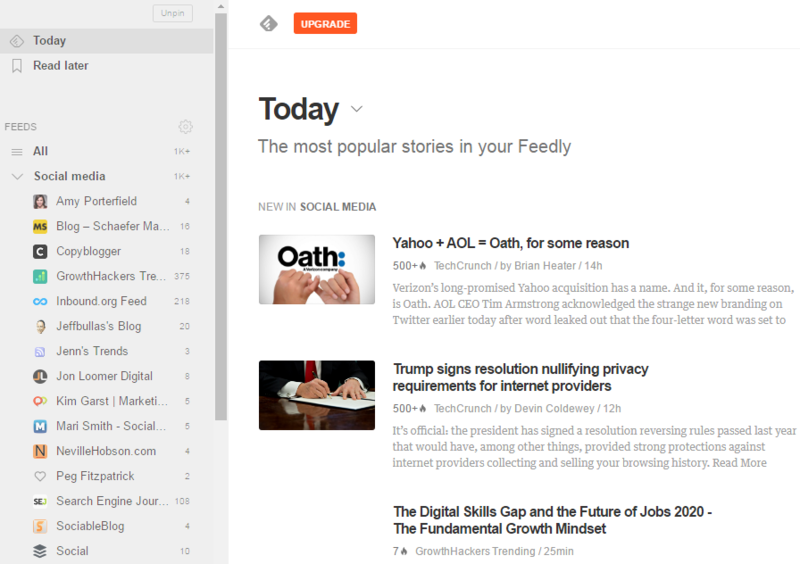 Feedly is a news aggregator application available as a cloud based service. You can upload all the necessary blogs/news sites up there and post articles you find interesting from this one place. For example, as someone working in the field of digital marketing, I uploaded around 50 different sources that constantly write about digital marketing to Feedly. Whenever I have time, I look through them and see what's new (the app tells you) and what's exciting (the app doesn't tell you that but it shows you social signals, which is close). your business sells music - you can gather music blogs & news sites that talk about all genres! your business sells anything to do with technology - hello! The Internet is filled with blogs and news sites talking about technology! and other more or less general niches. Let's forget about social media (not for long, though). Email marketing is still widely used, and for a good reason: it's working. Despite what some people believe, email marketing is not going anywhere in the nearest future. Conversely, the modern world has enhanced it a bit (a lot), making email marketing a much easier task. Mailchimp is really all you need to keep your email marketing going. It creates professional-looking, responsive email newsletters. And it's great for growth - it shows you how well you’re connecting with your audience and how much money you’re bringing in. It's easy to learn, and there is a free plan that includes all main features. Crowdfire is a social media growth app. It lets you mass add followers, see people who have recently unfollowed you, people that don’t follow you back, or are inactive, and copy followers from any account. 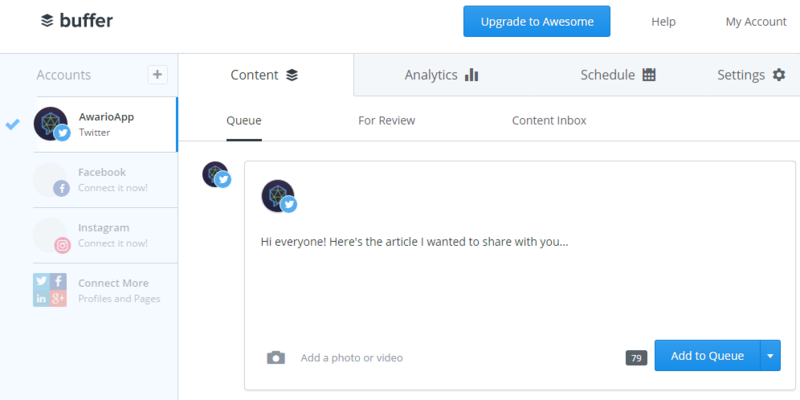 I find this last feature especially useful as you end up adding targeted followers – the ones that are much more likely to be interested in your content and product. Although growing followers this way is sometimes considered to be “not right”, everyone does it anyway. Social media is a crowded space, and often you have to grow your following just so that more people can discover your content. Crowdfire also lets you send direct messages to people. I’d strongly advise against using this feature. Not only it looks awfully spammy, in the cheaper plans it also adds “via Crowdfire” to your messages, which makes it look simply strange if your reader doesn’t know what Crowdfire is. 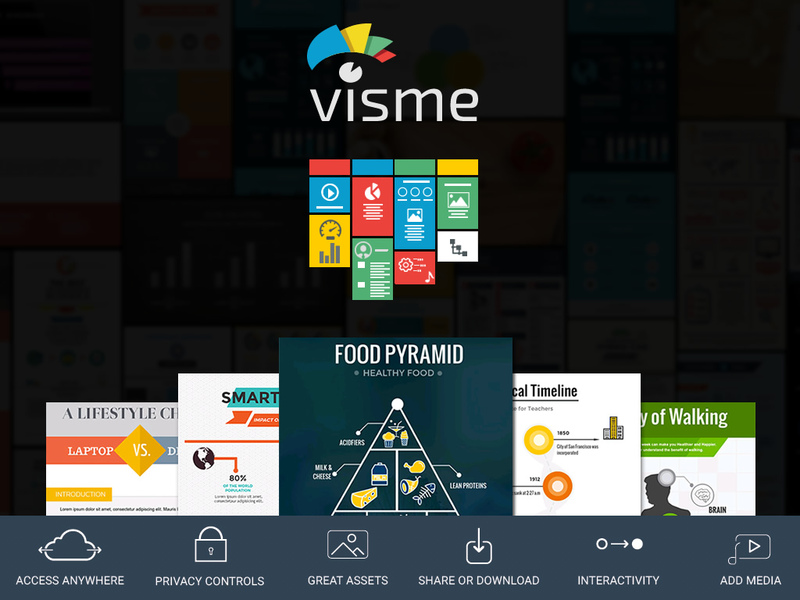 Visme is an online tool for creating infographics and presentations. They are fully customizable and downloadable, with hundreds of suggested templates, animation, fonts and images. If you’re bored out of your mind by PowerPoint and don’t have a designer to do the amazing infographics for you, do try Visme. 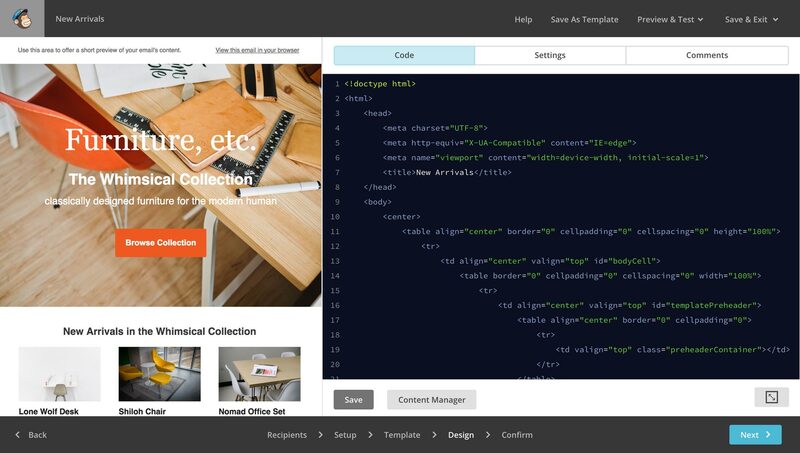 It’s flexible, easy to use, and the choice of templates makes sure you don’t need any design skills. It has also been completely refined quite recently, so the user experience at the moment is as smooth as it gets. The tool is free with limited functionality, and fully accessible for as little as $7 a month. Finally, design. Not much can create as many problems for your business as poor, unresponsive design. While large businesses pour endless resources into creating something amazing, small ones often struggle to keep up. That’s where Canva can help. With the help of this tool, you can create designs for Web or print: blog graphics, presentations, Facebook covers, flyers, posters, invitations and so on. 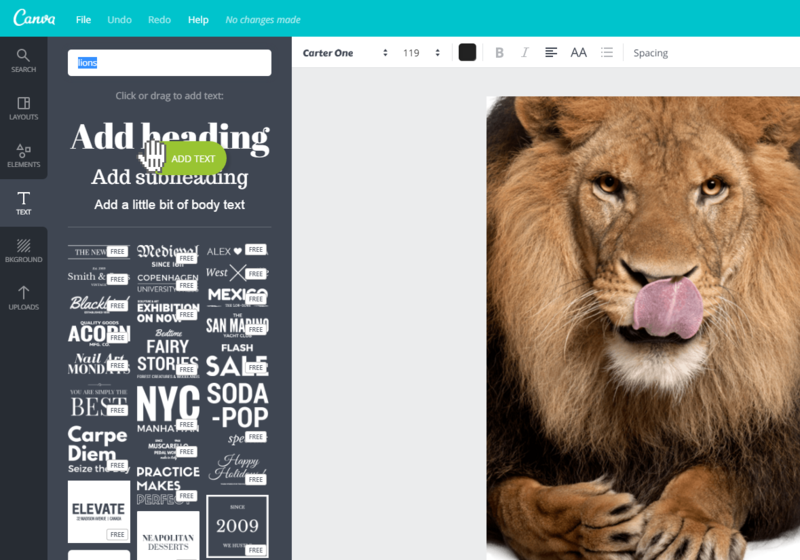 It offers millions of images, photo filters, icons, shapes, and hundreds of fonts. All of the above is the main reason for its popularity. The second is that their landing page claims that it takes 23 seconds to learn how to use Canva. That’s only partly correct: the site takes you through the whole process in this number of seconds. You will have to spend a bit more seconds practicing. However, it is indeed pretty easy to learn – the tool definitely makes design accessible and understandable for ordinary people. Now over to you! Any tools that saved your marketer’s life? Any tools you simply find really helpful? Let me know in the comments!